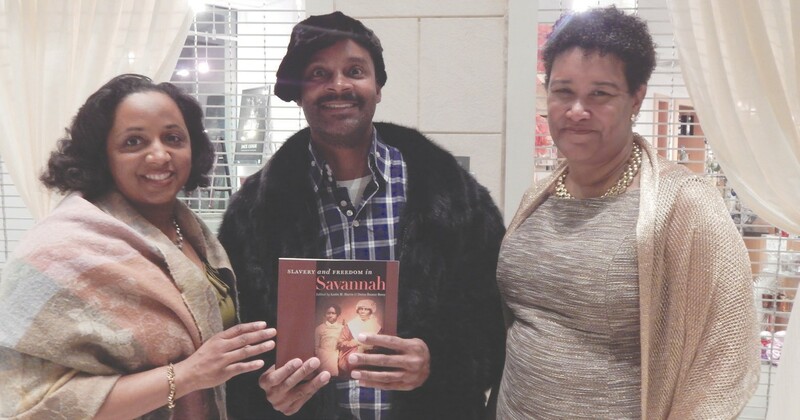 Editors Leslie M. Harris and Daina Ramey Berry presented to a pack audience at the Jepson Center last Wednesday as they celebrated the publication of Slavery and Freedom in Savannah with a launch party and reception. Spanning the history of Savannah from the Colonial era into the mid- 20th century, the book tells an American story of urban slavery and freedom through the unique lens of Georgia’s coastal city. Special emphasis about the free and enslaved people associated with the original Telfair historic homes—the Owens-Thomas House and Telfair mansion— underscores their significance to the larger history presented. Published by the University of Georgia Press, Slavery and Freedom in Savannah builds on scholarship in several fields providing insight into urban life across 300 years of Georgia history. The Windsor Forest Troubadours and Knights of Harmony gave a choral performance, followed by a presentation by the book’s editors, nationally-recognized scholars Leslie M. Harris of Emory University and Daina Ramey Berry of the University of Texas.